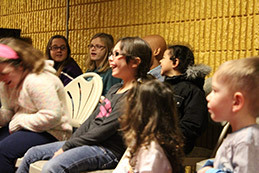 BHCC's "Kidz Zone" Children's Ministry is an exciting place where kids can grow in their faith and have a great time! Your children matter greatly to us and kids LOVE BHCC! We have classes for ages 1 - 12. The children and teachers are dismissed to go Kidz Zone right before the sermon. The first time your child attends Kidz Zone, the parent or guardian should go with the child to our check-in station just outside the theater to pre-register. Your child's safety is a high value at BHCC. 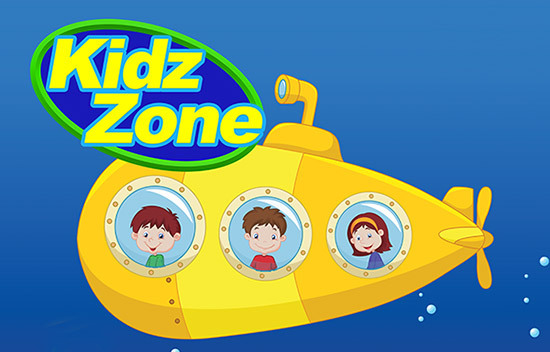 Once your child is checked in, they will receive their own special VIP pass to Kidz Zone. Each kid chooses their own color lanyard for their pass. 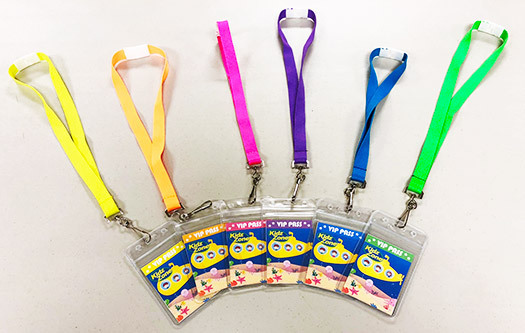 The VIP pass also serves as a security measure as only children with a VIP pass, their parents and teachers may enter our Kidz Zone children's ministry space. All of our teachers have gone through background checks as well. We know that kids aren't always comfortable attending children's ministry their first time at a new church. We encourage you and your child to go at your own pace. Children are always welcome to stay in the theater with their parents and you are also welcome to stay with your child at Kidz Zone if they are more comfortable. We begin with large group activities designed to help kids transition into Sunday school. Often this is a time of music and worship with the kids and once a month, we have a puppet show. After large group activities, kids break into smaller age-specific classes where they grow in their relationship with God with our hands on curriculum. We believe it's important to teach children's about the bible from a young age. Kids Zone is a great place for kids to learn in grow which a bible-centered curriculum. Teaching children about Jesus and the bible will help them to build a solid foundation for a healthy spiritual life. Blessed Hope has a team of caring, committed teachers who pray for the children daily and seek out creative and exciting lessons, that make children look forward to coming back. Our pastors and elders are involved in teaching Sunday school and are passionate about seeing kids grow in their faith. We like to partner with parents and families to help children learn about God not just on Sundays but all week long. We use take-home resources to stimulate learning during the week and at-home ideas to reinforce the weekly bible point.